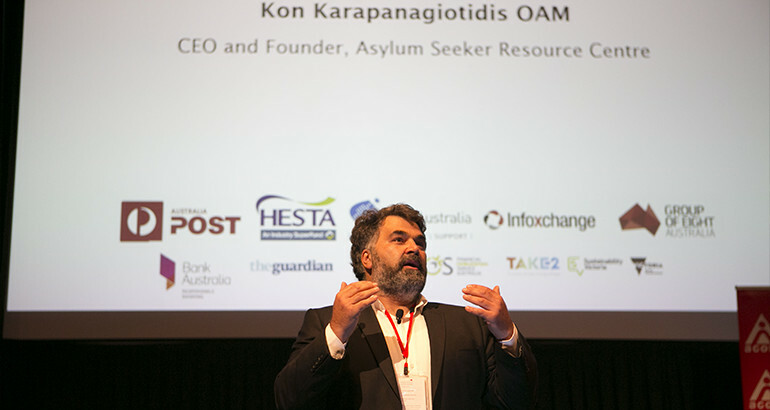 The founder and CEO of the Asylum Seeker Resource Centre (ASRC), Kon Karapanagiotidis, says the social sector is being “forced into competition”, and needs to reframe itself as a “civil rights movement” that demands systemic change. Karapanagiotidis spoke on Tuesday at this year’s Australian Council of Social Services (ACOSS) National Conference, held in Melbourne in partnership with VCOSS. The conference brings together community leaders, policy makers, academics and people with lived experience to collectively tackle the issues driving inequality in Australia, with this year’s event focused on ‘Australia in 2030: Creating the future we want’. In his keynote address, Karapanagiotidis said the sector could no longer “bite [its] tongue” and needed to “unleash its full potential”. “I look at our sector and sometimes I don’t recognize it. I’m watching us being forced into competition and at times being more concerned around our brand than our mission [and] resembling more of a business than a movement,” Karapanagiotidis said. “We are so scared of losing our funding, our supporters and our donors that we bite our tongues. And yet in front of us we see the horror playing out. “We need to face these challenges. How are we going to build our independence and stop competing with each other? How are we going to start sharing the extraordinary knowledge and talent and capacity [of the sector]? During his passionate, and at times fiery address, Karapanagiotidis spoke about where he thought Australia was at as a fair and inclusive society, condemning the country for its lack of action on domestic violence. “We are a country that has billions to spend on a war on terror, a war that has claimed 15 lives in 117 years in this country. But we have but bread crumbs for the war on women, that has taken 17 lives since the first of July,” he said. “White ribbons on the lapels of our prime ministers do not help dead women. We are a country where we only see women as mattering when we can see them as an extension of men. As a father, as a brother, as a husband… why can’t we just grasp the fact that women are someone and that a fundamental human right is a right to be safe? Karapanagiotidis also attacked Australia’s contentious asylum seeker policies, which he said would “destroy the greatness of our multiculturalism”. “We are a country that would rather vanquish those who seek our protection into hellholes on Nauru and Manus, and fed them food with human teeth and human hair,” he said. “This time next week, 606 human beings will have their water and electricity cut off and they’ll be handed over to the PNG forces, the same ones that tried to shoot them and kill them earlier this year. “For we are a country [which uses] words like ‘turn back at sea’ and ‘stop the boats’, when we actually just mean ‘die somewhere else’. The ASRC founder was particularly scathing of the Australian government, which he said had a lack of “leadership and vision with tiny tin potted hearted men”. “Can you imagine monuments being built for the Scott Morrisons and Peter Duttons of this world? No you cannot,” he said. “We know that social rights, civil rights and economic rights are at the heart of the dispossession of our communities. So we need to start demanding that these issues are not optional. While Karapanagiotidis said he felt “tremendously hopeful” things would change, he implored the sector to take action and “revive [the] movement”. “This is not an intellectual debate or conversation or exercise. This is the lives of people in our hands. We have this extraordinary privilege and we have this extraordinary opportunity to remake this country,” he said. “What we are demanding is not optional. We need to champion each other, share each other’s knowledge, and build each other’s capacity. In response to Karapanagiotidis’s concerns, ACOSS CEO Dr Cassandra Goldie told Pro Bono News that it was time for organisations to advocate and engage in the political process, to effect positive change in the community. “What is disturbing and distressing many people, is the environment in which [people in the sector] are being asked to continue to try and provide the kind of support that they know people need and want,” Goldie said. “It is a time for these organisations… to take very seriously, the capability to be a part of the change we want to see. 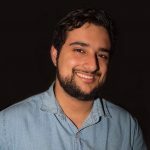 “That means collaborations with others of shared values, to be clear about our responsibility, to fearlessly advocate into the public arena and to engage with the political process, both to prevent policies that will take us backwards and to build support for the policies that we know will take us in the right direction. Karapanagiotidis concluded his address by stating it was up to the sector to utilise its significant power and fight for systemic change immediately. “We need to revolt. We need to demand better. We need to stand together and use the power of our networks and our voices… we are a sector that employs 1.6 million people in this country,” he said.